Lands End airport is a small privately owned airport with grass runways. A new 1 million pound terminal building was opened for the 2013 season. Facilities include a cafe, Internet access, and childrens corner. 59,000 passengers passed through Lands End airport in 2017, an 8% decrease from the previous year. 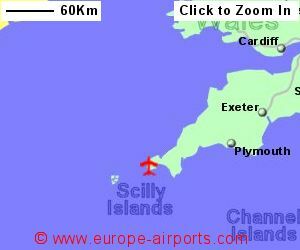 Sorry but we do not have any details of flights from Lands End Airport to the rest of Europe.